Sanrizz, renowned and respected worldwide as a driving force in the industry, have been at the forefront of British hairdressing for the past 26 years. They believe that in order to achieve perfection you have to be professional, creative, inspirational and meticulous. 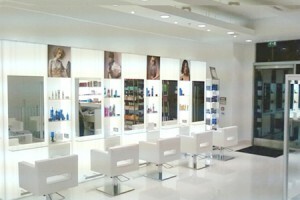 The St Paul’s salon provides an airy, relaxed atmosphere complete with some of the most talented stylists in the area. Full colouring, styling and specialist hair treatments are available. Sanrizz are offering a ‘Corporate Offer’ of 40% off first visit and 20% off continuing visits. Also offering 20% off all hair services at the St Paul’s salon. To redeem this offer: Quote ‘Cheapside Privilege Card’ at the time of booking an appointment. Not to be used in conjunction with any other offer or promotion.